With law 18 June 2015, No. 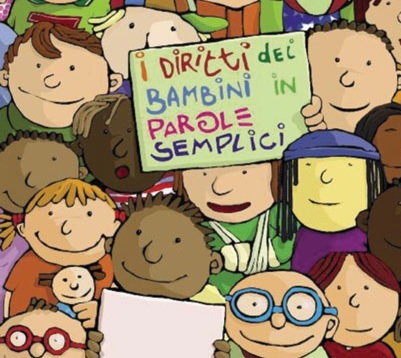 101, entered into force on July 9, Italy ratified and implemented the Hague Convention on Jurisdiction, Applicable Law, Recognition, Enforcement and Cooperation in respect of Parental Responsibility and Measures for the Protection of Children (adopted on October 19, 1996). The Convention regulates the attribution, exercise, termination or restriction of parental responsibility, as well as its delegation; rights of custody, including rights relating to the care of the person of the child and, in particular, the right to determine the child's place of residence, as well as rights of access including the right to take a child for a limited period of time to a place other than the child's habitual residence; guardianship, curatorship and analogous institutions;the designation and functions of any person or body having charge of the child's person or property, representing or assisting the child; the placement of the child in a foster family or in institutional care, or the provision of care by kafala or an analogous institution (the latter was excluded by the ratification law);the supervision by a public authority of the care of a child by any person having charge of the child; the administration, conservation or disposal of the child's property. The Convention does not apply to the establishment or contesting of a parent-child relationship;decisions on adoption;food obligations; decisions on the right of asylum and on immigration. Thus far, the Hague Convention, entered into on January 1st, 2002, had been ratified by 42 Countries. Italy was the last EU Members to ratify it.